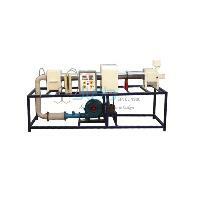 Jlab is renowned Mass Transfer Lab Equipment Manufacturer, Mass Transfer Lab Equipment Exporters, Mass Transfer Lab Equipment Suppliers, Mass Transfer Lab Equipment, Lab Equipment, Mass Transfer Lab Equipment Exporters in India, Mass Transfer Lab Equipment in India, Mass Transfer Lab Equipment Manufacturer in India, Mass Transfer Lab Equipment Suppliers in India. Jlab offer a wide range of Mass Transfer Lab Equipments that are widely appreciated by our customers and are available in various specifications. They are known for their durability, accuracy, compact design and fine finishing because they are made up of high quality raw material.